Regional Transportation Services Across the U.S.
Are you looking for a trusted 3PL company that can warehouse your freight (in strategically located nationwide food-safe warehouses)? Do you need pickup and delivery of that freight from or to those warehouses? 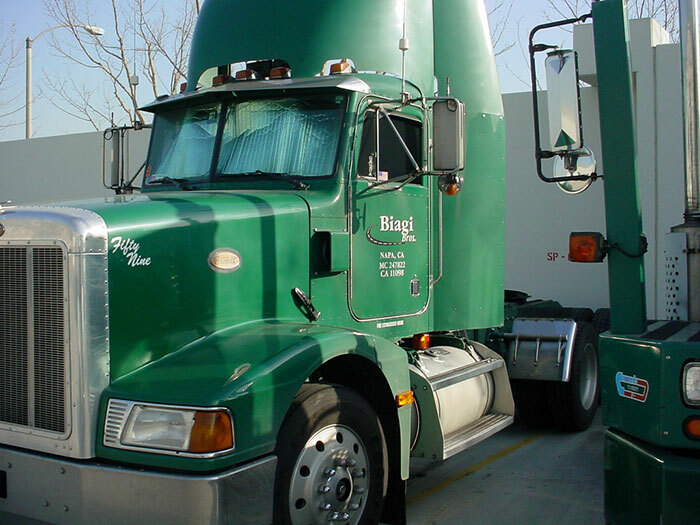 Biagi Bros not only offers local trucking but also complete regional transportation services. Are you ready to expand beyond the local market? If you’re ready, we’re ready. Branching out beyond your backyard requires additional operating expenses. 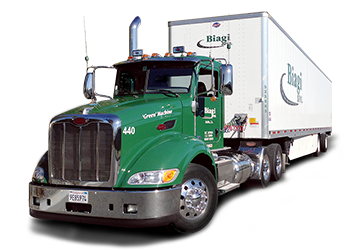 That’s why Biagi Bros goes the extra mile so that you can keep your supply chain and transportation costs low and stay competitive. 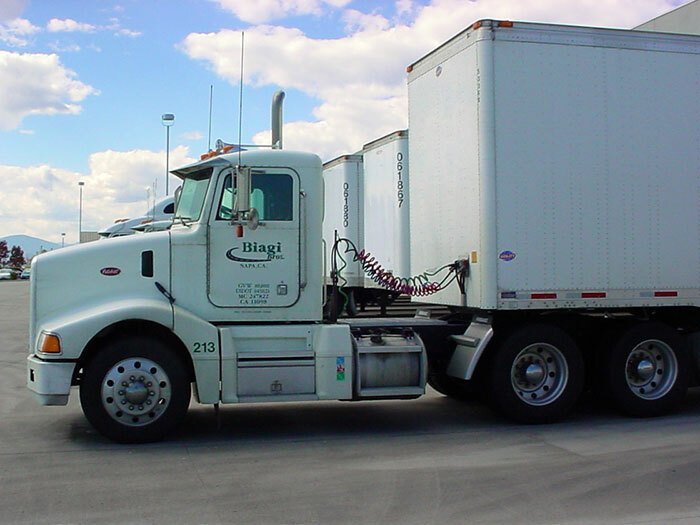 For the past three decades, Biagi Bros has been able to provide valuable market knowledge to customers across several regions and industries. You can benefit from our regional market expertise too. We can tailor transportation options to meet your regional delivery needs as well. 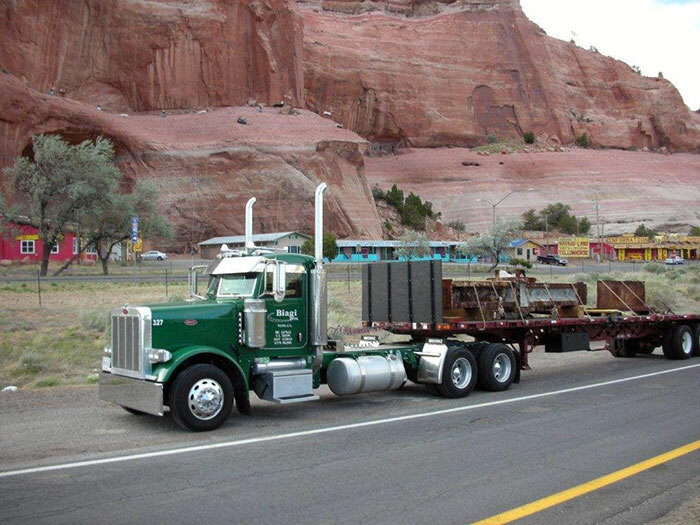 We always strive to offer the most cost-effective regional trucking services in the U.S. Here are some of our terminal locations and the regional area(s) they cover. Van Nuys, CA & Ontario, CA — Two of our largest transportation departments, these terminals include sleeper and day-cab tractors, 48’ and 53’ dry vans, and 57’ roller vans. They cover Southern California, Southern Nevada and Arizona. Benecia, CA & Napa, CA — Two of our longest running transportation departments, located in Northern California, they offer a fleet of sleeper and day-cab tractors, 28‘, 48’ and 53’ dry vans, tankers, flats, transfer, and superdumps. The Napa Wine Division handles the transportation of cased goods, glass, grapes, barrels, corks, and just about everything pertaining to the wine and juice industry. Both terminals service all of Northern California and Nevada. Auburn, WA — Our Washington-based terminal services the Pacific Northwest region including the states of Washington, Oregon, Idaho and Montana. Tucson, AZ — Services Arizona, New Mexico and Utah. Houston, TX — Our Houston-based terminal includes a mix of 57’ roller-beds and dry vans. It serves the state of Texas. Arlington, TX — Our terminal in Arlington offers regional trucking services to several states: Texas, Oklahoma, Colorado, Kansas, Nebraska, Utah, Missouri, Arkansas, Mississippi, Alabama and Louisiana. Chicago, IL — Out of this terminal we service the Chicago land area up to a 200-mile radius. Jacksonville, FL — Conveniently located near the port of Jacksonville, this truck terminal serves the Southeast Coast of the U.S.
Biagi Bros’ in-depth knowledge of these regions, along with our broad range of logistics capabilities, makes us confident that we can meet your regional transportation and 3PL needs.